Our wine comes from an independent, family-run merchant specialising in wine from small-batch producers, meaning that we offer quality bottles you may not have seen before. From £17 a bottle for house wines, with prosecco at £22, our wine list offers prices to suit all tastes, ranging up to a few prestigious bottles for special occasions. 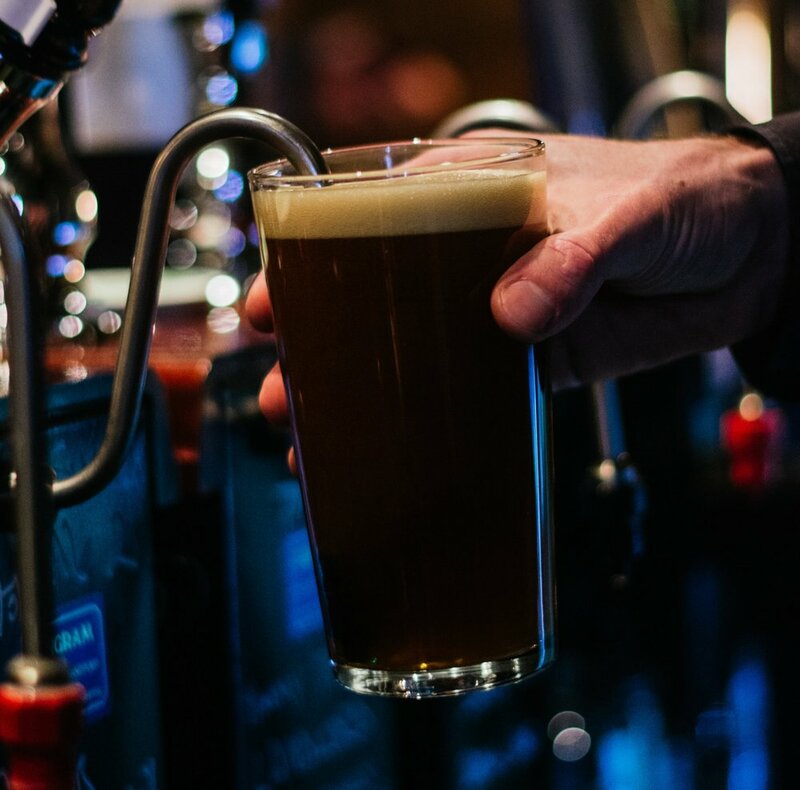 Four cask lines offer a solid line-up including Salopian Oracle & Tim Taylor’s Landlord as standard, plus varied guest ales with appearances from the likes of Titanic, Brewsmith, Merlin, Arbor, Big Hand, Purple Moose, Brass Castle & North Riding. CAMRA discount is available on cask ales Sunday – Thursday. Eight keg lines play host to semi-permanents from the likes of Duvel, Beavertown, Schneider Weisse, Thornbridge, Vedett, Magic Rock & Siren. Our fridges stock a colourful range of bottles & cans including Magic Rock, Yeastie Boys, Moor, Brewdog, Beavertown, Duvel, Vedett & Timmermans. We also have gluten-free beer. For an even more extensive range, head over the road to our sister bar, The Cellar, where over 100 different beers await you. Pair your prosecco with passion fruit, strawberry, peach or elderflower, or take it as an Aperol Spritz. Cocktails are £7 or two for £10.